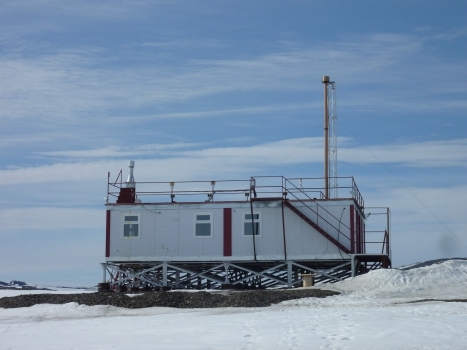 Facility and Environs: Tiksi's Clean Air Facility (CAF) is situated 1 km from the complex of buildings at the Polyarka/COW weather station. The location was chosen to minimize local contamination and clean air sectors have been identified. 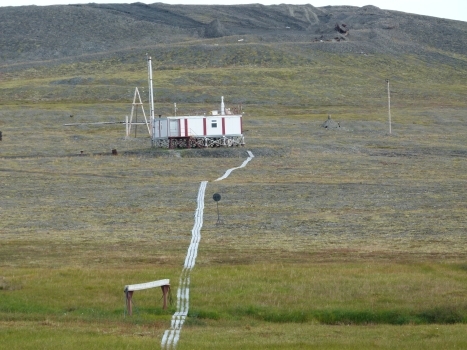 Data has been collected since 2009 with a number of instruments installed by Roshydromet, RAS, NOAA and FMI. The CAF has roof top access with space for installtions and electrical outlets. 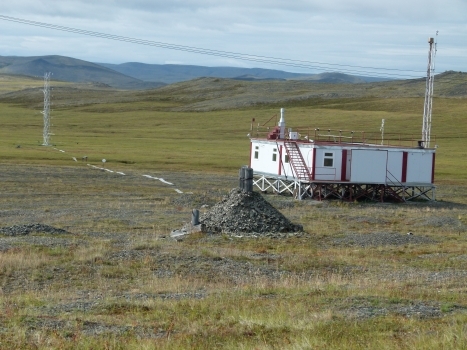 There is also an 8 meter platform mast on the roof of the facility for inlet tubing to sample clean air. The facility has 2 separate office/laboratory spaces, a small break area and a large interior laboratory space. 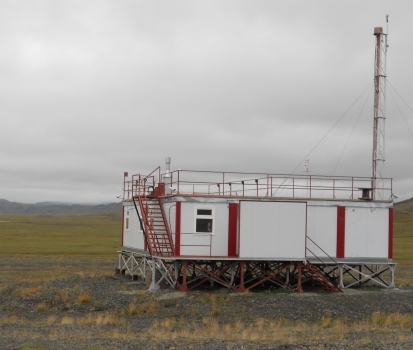 The technical staff of the Tiksi COW visit the facility once a week for instrument checks and maintenance; the CAF is the location of the weekly flask samples that contribute to the GAW program.